Water is one of Minnesota's most important natural resources. 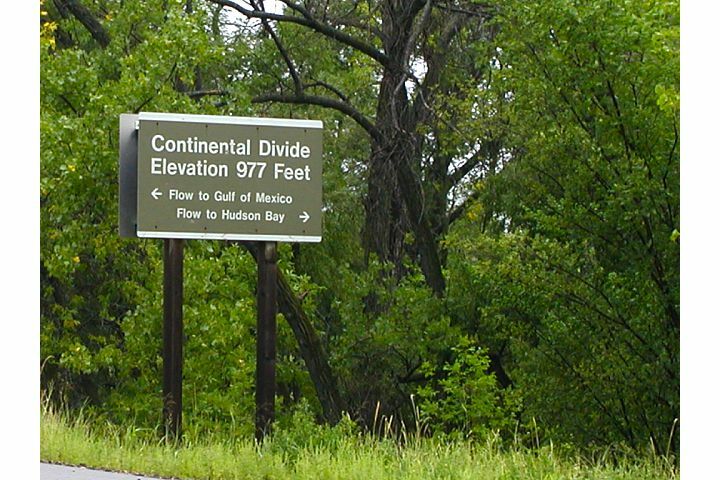 Continental divides force water to that falls on one side of them to flow one direction, while water that falls on the other side flows the other direction due to gravity. The majority of water that falls on Minnesota drains through a series of rivers to the Mississippi River and ultimately, the Gulf of Mexico. 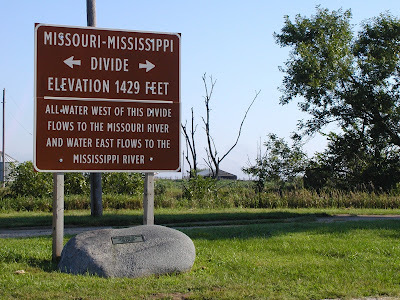 In the southwestern portion of the state, another high area or divide, forces water that falls in that area to drain to the southwest towards the Missouri River. Of course, the Missouri River ultimately flows into the Mississippi River and then the Gulf of Mexico. 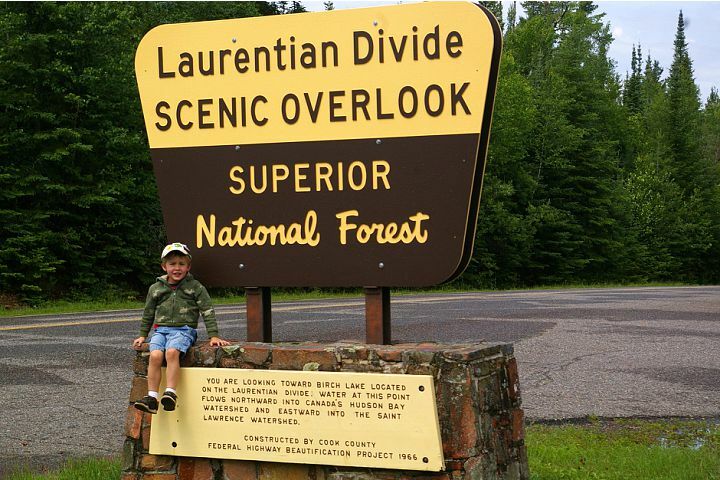 Of course, this particular picture was taken in Minnesota, though it's a continuation of the same divide. This picture was taken near Carroll, Iowa. 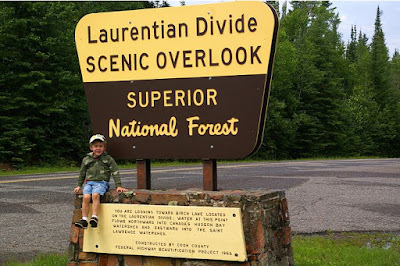 Across the northern portion of the state runs the Laurentian Divide. Water the falls to the north of this divide flows to the north towards Hudson Bay, in Canada's far north. 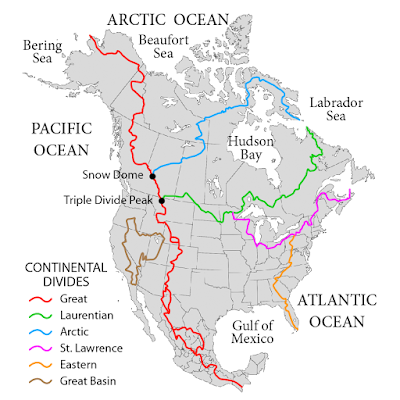 Water falling to south of the Laurentian Divide flows either to the Mississippi River or towards Lake Superior. 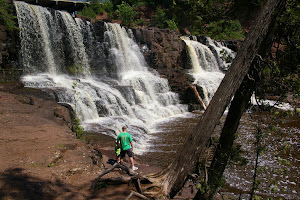 Water that flows to Lake Superior ultimately flows through the Great Lakes to the Atlantic Ocean. 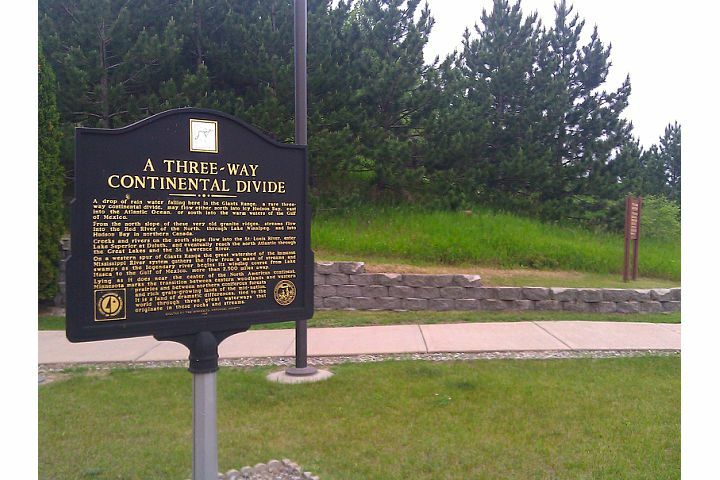 In places where two continental divides meet you can find triple divide points or triple points. On of these three way continental divides occurs in Minnesota near Hibbing. The exact triple divide point is located inside the private property of a taconite mine, so it is not accessible to the public. Early Native Americans living in the area called this spot "the hill of three waters." 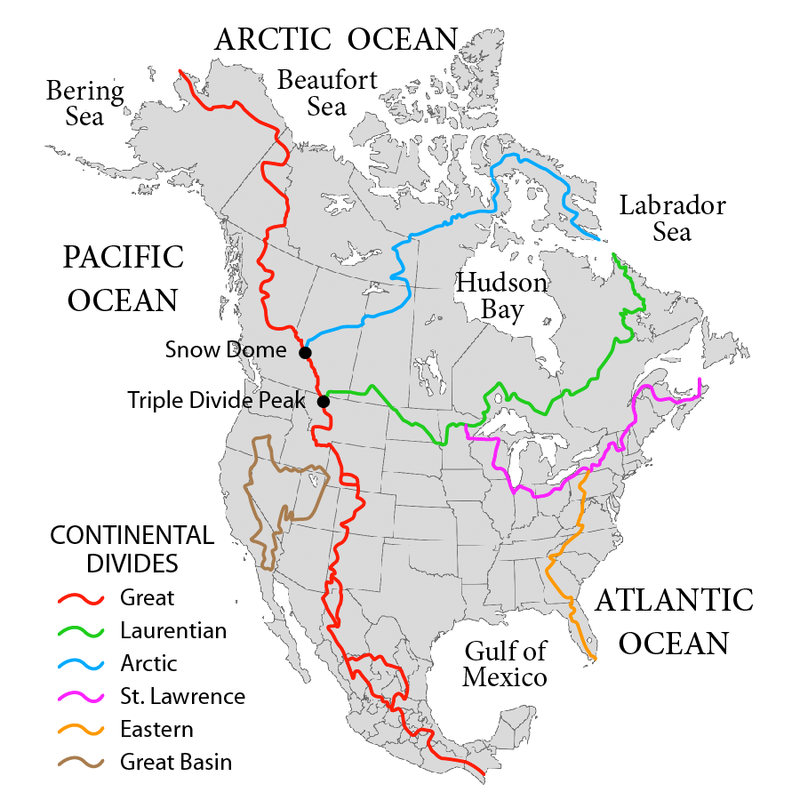 Looking at the picture below (source: http://commons.wikimedia.org/wiki/File%3ANorthAmerica-WaterDivides.png) you can find several other triple divide points. One of interest would be the one located at Triple Divide Peak in Glacier National Park. Water falling on this location flows three directions; west to the Pacific Ocean, north to the Arctic Ocean, and east to the Atlantic Ocean. This is apparently the only location on the planet where water flows into three separate oceans. Most might find the pictures of continental divides as rather boring, especially when you compare the Minnesota pictures to the picture of the continental divide located at Loveland Pass in Colorado. 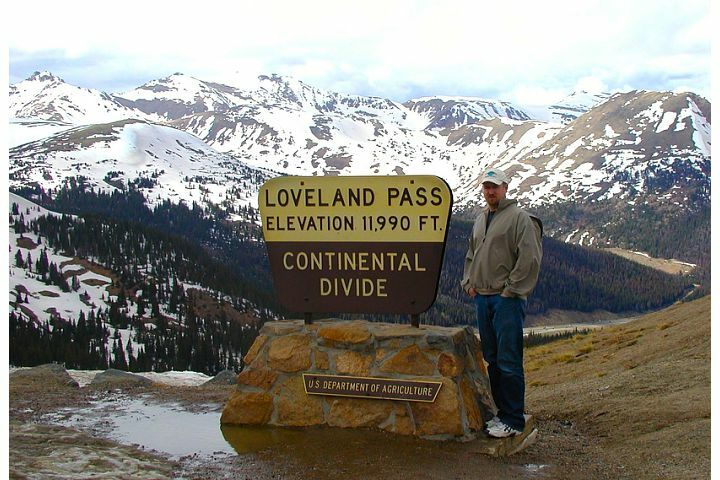 Loveland Pass is located on the Great Divide, this divide separates water that flows in the Pacific Ocean from that that flows in the Atlantic Ocean. The Great Divide runs across a series of mountain ranges from North America all the way to the Andes in South America. 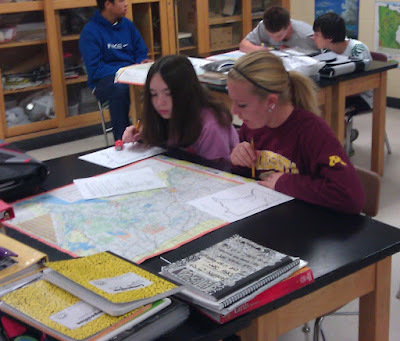 Our 8th grade students have been using Minnesota roadmaps this week to map out locations of continental divides located in our state. Using this information, they then map major rivers and lakes and determine how waters flow throughout our state.